Residents will spend weeks, months and even years recovering from the Lawrence, North Andover and Andover gas explosions. And throughout New England, many are also asking: are we safe in our homes? If your family has been affected by the Columbia Gas explosions or fires, we can assist you. Please call us at 800-379-1244. On Sept. 13th, natural gas explosions and fires erupted in the three Merrimack Valley communities. At least 70 blazes in all, causing devastation, dozens of injuries and one death. 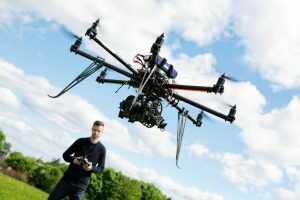 Do You Have Insurance for Your Drone? More than a million drones were sold this holiday season. If one happened to land in your pile of presents, remember that taking to your neighborhood skies comes with responsibilities. We offer a few reminders about insurance and protecting yourself from financial liability if there is injury or property damage. As a drone operator, you want to make sure that you will be able to pay for damages or personal injury that was caused by your negligence. Homeowners and Renters Insurance. Start by reviewing your homeowners and renters insurance policies. Then speak to your insurance agent to learn if drone-related accidents are covered. According to the Insurance Information Institute, drones are most likely covered under these policies. The liability portion of your homeowners insurance may cover you in lawsuits for bodily injury or property damage. Your policy may also provide no-fault medical coverage if someone is accidentally injured by your drone. But there are limits; medical bills for you and family members may not be covered by no-fault medical coverage. Another reason to have insurance for your drone: If your drone causes bodily injury or property damage, and a claim is brought against you, proper insurance will not only cover the damages; the insurance company will also provide a lawyer to defend the claim against you. Check with your insurance agent. The insurance industry is actively discussing this topic. Already, some insurers may exclude drone-related accidents from homeowners insurance policies. Others may choose to do so in the future. Car Insurance. Your auto insurance policy may cover property damage resulting from crash landings or related accidents. Ask your auto insurance agent. Commercial Users. If you operate a drone for business (even for a part-time business), you should ask your agent if you are covered. This would not typically be covered under your homeowners insurance policy. Safety Reminders. Never use your drone recklessly and always follow current safety regulations. Drone owners are required to register drones with the FAA and fly at or below 400 feet. Failure to do so could result in a fine. To learn more, watch this safety video from the FAA. Theft. Consider theft insurance if it make sense. Some drones are small and can be easily stolen. But remember many homeowners have to pay a deductible if they file a claim. If you own an inexpensive drone it will likely be less than your deductible. Maybe it was time to upgrade to the fancier drone anyway. Memberships. If you do not have adequate coverage, consider your options. You may be able to buy more insurance coverage from your carrier or research other insurance carriers. You may also qualify for coverage if you belong to a membership organization or club. The New York Times reported the Academy of Model Aeronautics offers group liability coverage as part of its $75 per year membership. This may pay for damages after your homeowners insurance policy is exhausted. If you are a drone owner, we hope you take the time to check with your insurance agent so you understand your potential liability. Drone crashes can happen on your property or a neighbor’s property and you want to be prepared. “Getting a Drone as a Gift? Check Your Insurance,” New York Times. “Going Drone for the Holidays? Make Insurance Part of Your Pre-Flight Check,” Insurance Information Institute. From the stage to the courtroom, Attorney Reza Breakstone brings a unique blend of skills and experience to the firm. We are pleased to welcome Reza, who will focus on representing personal injury clients at Breakstone, White & Gluck. He will also counsel small businesses in strategic development, litigation and contract matters. Reza graduated from the University of Michigan in 2002, where he received several leadership awards. After college, Reza worked for two years as a legislative aide for the junior Senator from Michigan in Washington D.C. He returned to Boston to attend Northeastern University School of Law. After graduation from law school in 2008, Reza worked for four years at a prestigious Boston firm, concentrating in complex business litigation, federal antitrust defense and security litigation. During that period, he received a special assignment as an Assistant District Attorney in Suffolk County District Attorney’s office where he prosecuted criminal cases. Working in the West Roxbury Division of Boston Municipal Court, he tried numerous bench and jury trials to verdicts. Congratulations to our associate, Sam Segal, who has been elected treasurer of the Massachusetts Bar Association’s Young Lawyers Division Board of Directors for the 2014-2015 year. 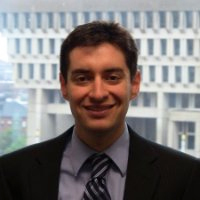 Segal graduated from Northeastern University School of Law in the spring of 2010. He joined Breakstone, White & Gluck as an associate after completing a co-operative internship with the firm as part of his studies. He earned a double-major undergraduate degree with honors from Arcadia University in Pennsylvania. At Breakstone, White & Gluck, he specializes in personal injury cases, including those involving car accidents, bicycle accidents, medical malpractice and construction accidents. He was selected as a Massachusetts Super Lawyers Rising Star for 2013. Segal has participated in Young Lawyers Division events for several years and also volunteers as an attorney-coach for the Cambridge Rindge and Latin School Mock Trial Team. Breakstone, White & Gluck has long been active with the Massachusetts Bar Association. Attorney David White served as president for the 2007-2008 term. White and attorney Marc Breakstone have led Continuing Legal Education seminars over the years, in topics such as personal injury and how to start a solo law practice. The firm is also a sponsor at the annual dinner each spring. We congratulations all the Young Lawyers Division Board of Directors. Read the full announcement. Pedestrians now have to watch out for more than just traffic in two major cities. Jaywalking laws have traditionally gone unenforced in many cities, but New York City and Los Angeles are now telling pedestrians to follow the letter of the law or face citation. Pedestrians are surprised, and in some cases, are facing hefty fines for crossing the street before the traffic signal changes. One man in Los Angeles was ticketed $197 as he walked to work. New York City Police are taking the same steps. The city saw 12 pedestrian fatalities in January, prompting new Mayor Bill de Blasio to announce Vision Zero, a plan to eliminate traffic deaths within 10 years. Vision Zero focuses largely on drivers, but at the same time, New York City Police have started enforcing jaywalking laws. In New York City, an 84-year-old man, Kang Wong, has filed notice he plans to sue the city and police department for $5 million. He alleges he was pushed against a wall and beaten as he was cited, sustaining head injuries and other trauma. In New York City, three of the pedestrians were killed in the Upper West Side, near Broadway and 96th Street. They were a 9-year-old boy who was hit by a taxi as he crossed the street with his father, a young doctor struck by an ambulance outside her apartment building and a 73-year-old man hit by a tour bus. After these deaths, the city installed electronic signs warning pedestrians to use the crosswalks. Police stood by with a bullhorn, citing pedestrians who violated jaywalking laws $40-$100. Every city has an interest in this conversation, including here in Boston and Massachusetts. Our state sees an average of 86 pedestrian deaths each year, nearly one fifth of all traffic fatalities, according to WalkBoston, a non-profit advocacy organization which represents pedestrians and 75 cities and towns across the state. But rather than ticket pedestrians, WalkBoston advocates for improving infrastructure and education. For instance, it notes that 90 percent of pedestrians killed are struck by cars traveling 40 mph compared to 5 percent who die by cars traveling at 20 mph. One way to encourage drivers to slow down is to reduce travel lane widths, the organization says. Perhaps you are wondering what the fine for jaywalking is in Massachusetts. We hope you are sitting down: It is $1.00! But after three offenses, the fine doubles M.G.L. c. 90, § 18A. Municipalities won’t balance their budgets on jaywalking tickets, that’s for certain. New York City takes aim at jaywalking, The Boston Globe. Drive Safely. AAA projects nearly 39 million U.S. travelers will drive 50 miles or more from home this Thanksgiving holiday weekend. If you can, avoid traveling during busy times such as Thanksgiving Eve. No matter when you drive, make sure you pay attention, monitor traffic reports, never drive when you are drowsy and start your trip with a full tank of gas. Distraction-Free Driving. Commit to not use your cell phone while driving, especially in traffic congestion. Do not make phone calls or text while driving, the latter of which is against the law in Massachusetts. If you are using your cell phone as a GPS, have someone in the passenger seat handle your phone. Smoke Alarm Batteries. Change your smoke alarm batteries, if you did not do so in early November, when Daylight Saving Time ended. About two-thirds of home fire deaths occur in homes with no smoke alarms or working smoke alarms, according to the Consumer Product Safety Commission (CPSC). You should test the batteries in all your home’s smoke alarms monthly. Cooking Fires. The threat of a cooking fire triples on Thanksgiving, according to the CPSC. Stay in the kitchen while frying, grilling or broiling food. If you have to step away, turn off the stove. Prevent Food Poisoning. A few reminders are regularly wash your hands in the kitchen, along with food surfaces and utensils. Separate raw meat and poultry from other food. Cook your turkey to a safe minimum internal temperature of 165 degrees. The Centers for Disease Control and Prevention also recommends cooking your stuffing in a separate dish outside the turkey. As for leftovers, make sure to eat within three or four days. Keep Children Away From Food. Keep young children out of the kitchen while cooking. They could spill hot liquids or scald their skin on the oven. Look for Hazards to Children. If you are at an unfamiliar home, do a visual scan of potential dangers for children. 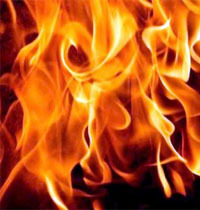 Keep them away from brick fireplaces, garage entrances and other hazards which could cause them injury. Turkey Fryers. The National Fire Protection Association discourages use of turkey fryers. But if you use one, make sure you take it outside, a good distance from your home or any structure. Do not cook on the roof of apartment or condominium buildings. Dress so you are prepared to deal with hot oil spills and never leave the fryer unattended. No Drinking and Driving. Do not drive after consuming alcohol. You risk seriously injuring yourself or someone else in a car accident. You could also be criminally charged. This message is especially important on Thanksgiving. Mothers Against Drunk Driving (MADD) reports drunk driving deaths continue to increase during the holiday season. Many accidents occur on Thanksgiving Eve – a day it calls Blackout Wednesday – and the early hours of Thanksgiving Day. In 2010 alone, 174 people in the U.S. were killed during the Thanksgiving holiday weekend, in addition to many others who were injured. 14 Things to Know About Traveling on Thanksgiving Weekend in Massachusetts, North Reading Patch. 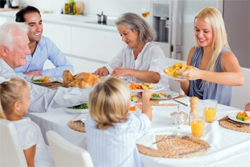 It’s Turkey Time: Safely Prepare Your Holiday Meal, Centers for Disease Control and Prevention. Thanksgiving Home & Travel Safety Tips, Mass.gov. Every year, thousands of people in the U.S. die in drownings. Many of these are young children who drown in swimming pools. Last summer alone, nearly 140 children under age 15 drowned in swimming pools and spa tubs, according to the Consumer Product Safety Commission (CPSC). 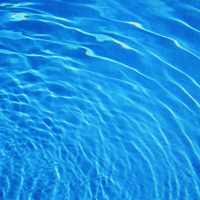 While the risk of personal injury and wrongful death from drowning has long been known, new dangers have emerged at pools in recent years. As many homeowners have removed diving boards for safety and insurance reasons, many others are purchasing inflatable slides, sports nets and trampolines to enjoy by the pool. Two recent Massachusetts cases touch on these risks. Last month, the Supreme Judicial Court ordered a new trial in Dos Santos v. Coleta, where the plaintiff was paralyzed in 2005 when he jumped off a trampoline and struck his head in a two-foot inflatable wading pool. The pool and trampoline were owned by his half brother, the defendant. The SJC ruled that the trial judge should have also instructed that a property owner is not relieved from correcting such dangers in cases where they can or should anticipate that the dangerous condition will cause harm. “Because we conclude that a landowner has a duty to remedy an open and obvious danger, where he has created and maintained that danger with the knowledge that lawful entrants would (and did) choose to encounter it despite the obvious risk of doing so, we now reverse,” wrote Justice Cordy. The plaintiff, Cleber Coleta Dos Santos, had been playing with his young son on the trampoline when he attempted to flip off and into the pool at his half brother’s Framingham home. He suffered permanent paralysis. His half brother and sister-in-law owned the home, but had moved out a few days prior, leaving the trampoline positioned next to the pool where it could be used in the backyard. The SJC noted that the homeowner disregarded warnings printed on the side of the pool against jumping or diving into the pool. The Banzai inflatable slide is another product which has caused injury and death in Massachusetts in recent years. You should not see any Banzai slides for in-ground pools this summer. They were recalled in May 2012, after a woman’s death in Massachusetts and two reports of serious injury in other states. The inflatable slides were designed to sit on the edge of a pool so swimmers can climb to the top and slide down as water sprays. But the structure easily deflated, removing support for the user. It was also easy to knock down, even without windy conditions. In 2006, a 29-year-old Colorado mother visiting Massachusetts fractured her neck and struck her head while using a Banzai inflatable slide. When she stepped up and started to slide, there was not enough support and her head hit the pavement near the edge of the pool. The slide had been partially deflated. The woman died the next day at a Boston hospital. In October 2011, a jury in Salem Superior Court ordered Toys R Us to pay more than $20 million to the woman’s family, finding the Banzai slide did not comply with federal safety standards for swimming pool slides. Toys R Us had sold the product to the victim. Amazon.com – the website where the product was sold through – and manufacturer SLB Toys USA settled with the woman’s family after the trial began. 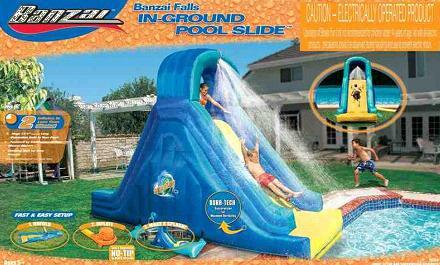 In May 2012, Walmart and Toys R Us recalled 21,000 Banzai slides for in-ground pools, asking consumers to return the product for a full refund. Banzai continues to sell inflatable slides and water castles which are stand alone. Toys R Us recently appealed the case to the Supreme Judicial Court, arguing the the Consumer Product Safety Commission regulation cited by the woman’s family does not apply to inflatable pool slides, but only to rigid pool slides. There are more than 3,300 natural gas leaks in Boston’s aging underground pipelines, a new Boston University study has found. Six areas had gas levels which exceeded the amount needed to trigger a gas explosion. Those gas leaks were repaired while no action has been taken on the others, which the state Department of Public Utilities and gas companies described as a small risk for gas explosions. Dorchester had the largest number of gas leaks, 951 breaks over 158 miles of cast-iron gas mains. However, several areas had a greater number of leaks per mile, including East Boston, Jamaica Plain, Brighton, Charlestown and South Boston. The study into gas leaks and explosion risks was conducted by an associated professor from Boston University’s Department of Earth and Environment and a researcher from Duke University. It was recently published in the journal Environmental Pollution and reported on by the Boston Globe. The two researchers drove all 785 miles of Boston’s streets to test the air for methane, the primary ingredient in natural gas. The two measured for methane levels which exceeded 2 parts per million – the normal amount in the air. Natural gas is colorless and odorless, but uses the chemical additive mercaptan which emits a distinct rotten eggs odor to signal a leak. Gas leaks can occur in several ways, often when underground pipes crack as they age or in cold weather or when a pipe is struck by construction equipment. Some people want to hold gas companies more accountable for fixing gas leaks in Massachusetts. A bill sponsored by state Representative Lori Ehrlich of Marlbehead would require a timeline for fixing the most serious leaks. Utilities would be required to notify police and fire of the gas leak locations. The bill unanimously passed the House of Representatives in June and is now before the state Senate. The Conservation Law Foundation plans to release a report on natural gas leaks soon. An official suggested the state could require timelines for gas companies to repair various grades of leaks and improve accelerated reimbursement rates for gas companies that replace old gas lines. Boston riddled with mostly small natural gas leaks, Boston University study finds, Boston Globe. Gas leaks graphic, Boston Globe. Breakstone, White & Gluck settles wrongful death lawsuit for explosion’s victim’s family for $7.5 million, July 2012. Thanksgiving dinner is the largest meal of the year for many families, the one that takes the most planning and time to prepare. As you work in the kitchen, remember Thanksgiving is also the nation’s leading day for kitchen fires and when burns and cooking injuries are more likely to occur. The good news is you can prevent most of these accidents and focus on enjoying the day by following a few simple steps below. We have also included safety precautions for deep frying a turkey. Make sure your smoke detector is working. Test it in advance and do not disable it. Use a cooking timer. This will help you keep track of when to check the turkey and when other food dishes are finished. Stay home while cooking. Stay home and check the turkey frequently. Cooking stovetop. Stay in the kitchen when you are cooking stovetop. If you must leave, turn the stove off. Keep children away. Keep children at least three feet away from the stove at all times. Hot food and liquids. Make sure children also stay away from hot food and liquids, which can cause burn injuries. This includes coffee, gravy and the steam and sauce on vegetables – especially when they first come out of the oven or off the stove. Neat kitchen. Keep clutter to a minimum near the stove. Set aside oven mitts, towels and other utensils. Do not leave sharp knives or utensils out where young children can reach them. Ask guests to put their belongings in another area. Keep matches, lighters and candles away. Lock matches and utility lighters in cabinets away from children. Also do not use candles if you have young children in the home. Use a commercial cooking bag. Do not cook your turkey in a brown paper bag from the grocery store. They are unsanitary and may start a fire. Read the instructions. Read the manufacturer’s instructions for the turkey fryer before each use. Understand your propane gas burner. Ask your propane gas provider about safe practices to prevent fires and explosions. Wear safety gear. Wear safety glasses, gloves which stretch to your elbows, a long-sleeved shirt and an apron. Deep fry your turkey outside. Set up your fryer in an open area, away from your house, garage, decks and other structures. Select a smaller turkey. Use a turkey that is 12 pounds or less in size. Do not stuff the turkey. Stuffing the turkey could interfere with even cooking. Do not use too much oil. Determine the right amount of oil in advance by placing the turkey in the fryer. Fill with water to the top. Remove the turkey and measure the amount of water remaining. Use the same amount of oil. Your fryer may also have a measurement line inside. Fully thaw the turkey. Burn injuries can occur when any water on the turkey comes in contact with the oil, then boils over or splatters while being cooked. Fully thaw the turkey and dry it off with paper towels before deep frying. Turn off the fryer before adding the turkey. Warm up the fryer before cooking, then turn it off just before putting the turkey inside. Start cooking again after it is firmly in place. Thanksgiving Safety, National Fire Protection Association. Cooking Safety, National Fire Protection Association.